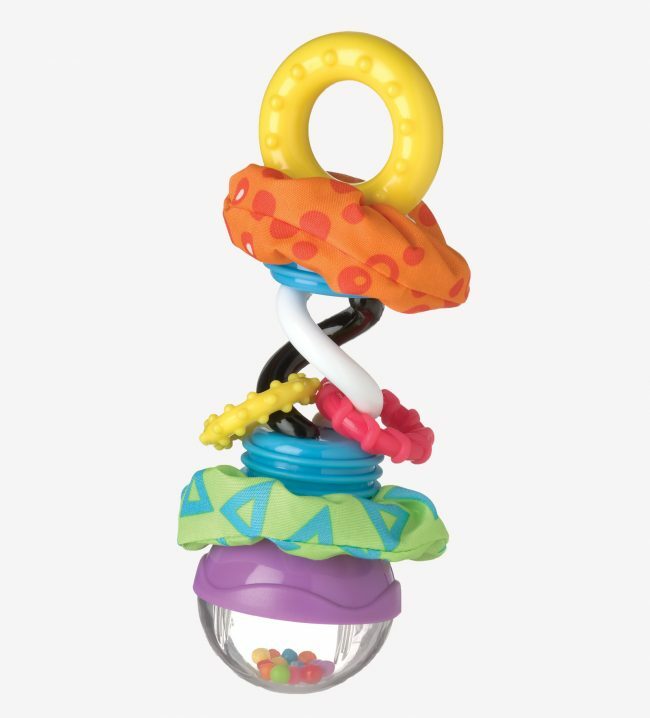 Designed perfectly for little hands to be able to grasp and shake. 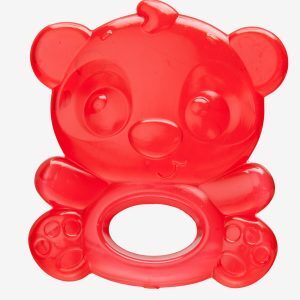 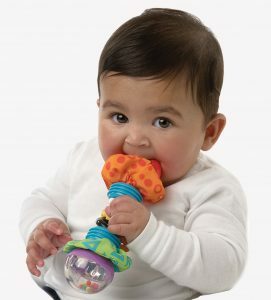 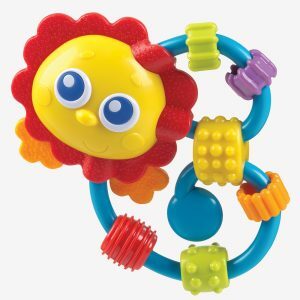 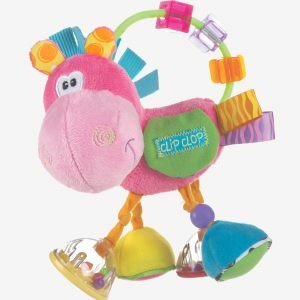 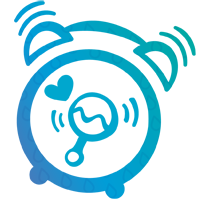 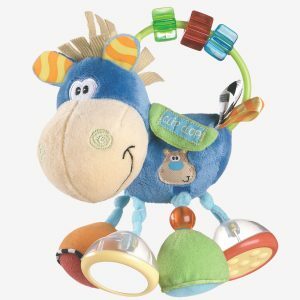 Rattle rotates to make a click-clack sounds as well as making a rattling noise when shaken. 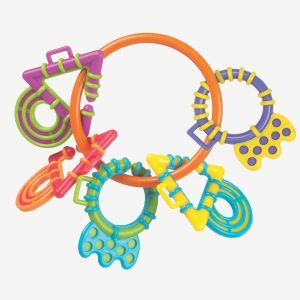 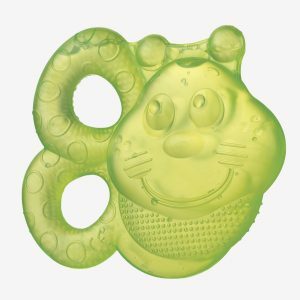 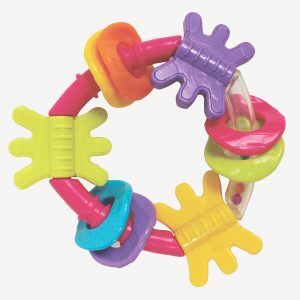 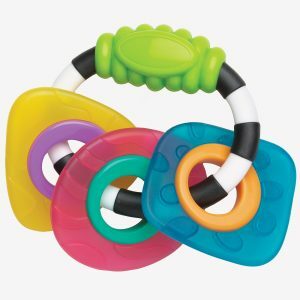 Textured rings provide tactile stimulation and are great for teething, whilst the crinkle fabric is ideal for auditory stimulation.